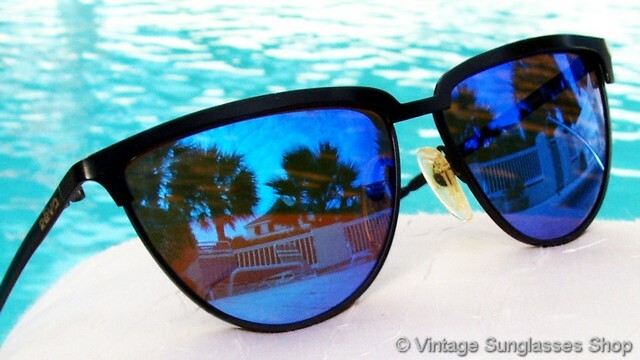 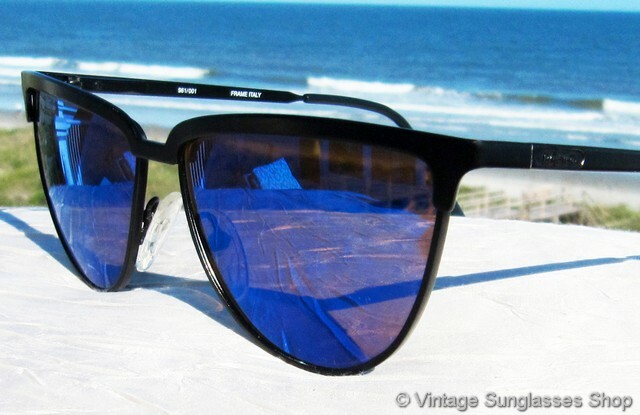 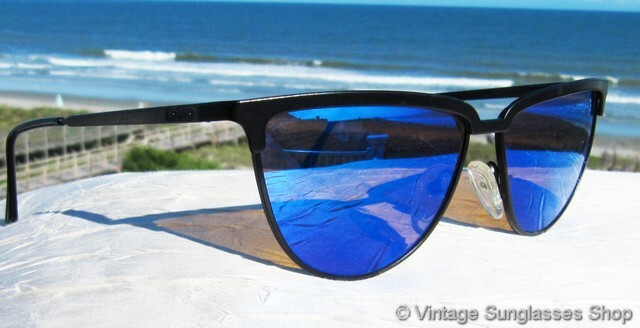 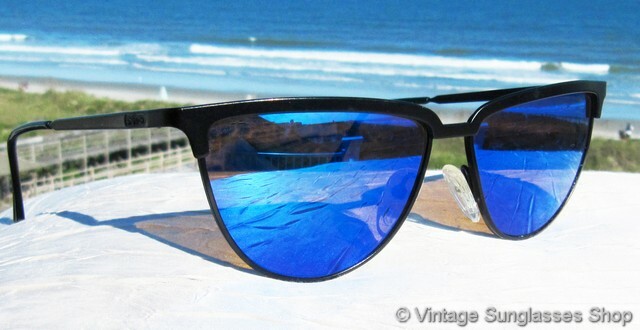 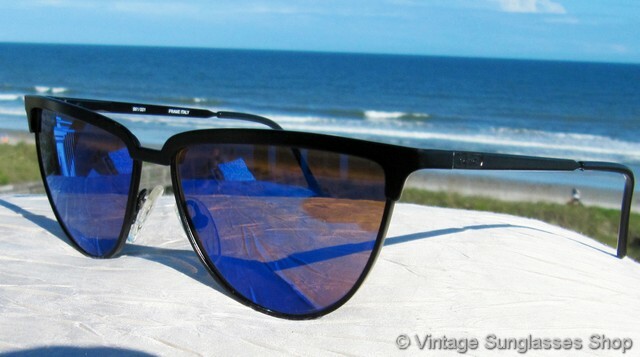 1 Vintage Revo 961 001 Half Moon sunglasses combine a black metal frame with Revo's highly reflective blue mirror lenses in a loosely cat eye style that all goes together for a great look! 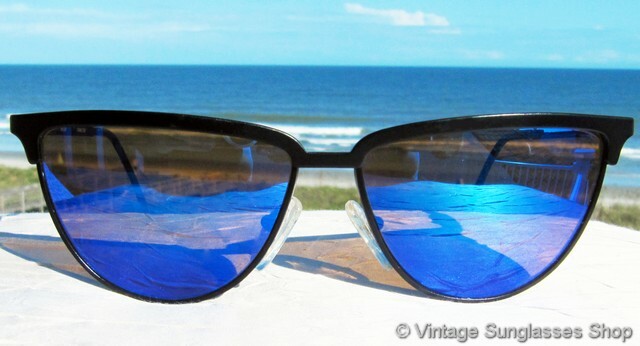 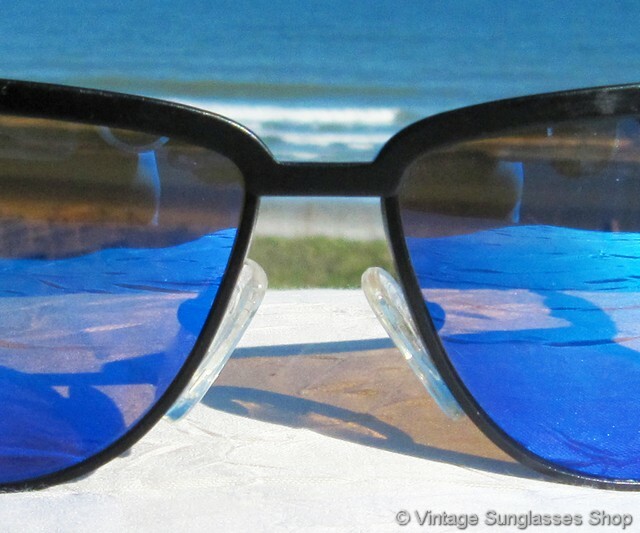 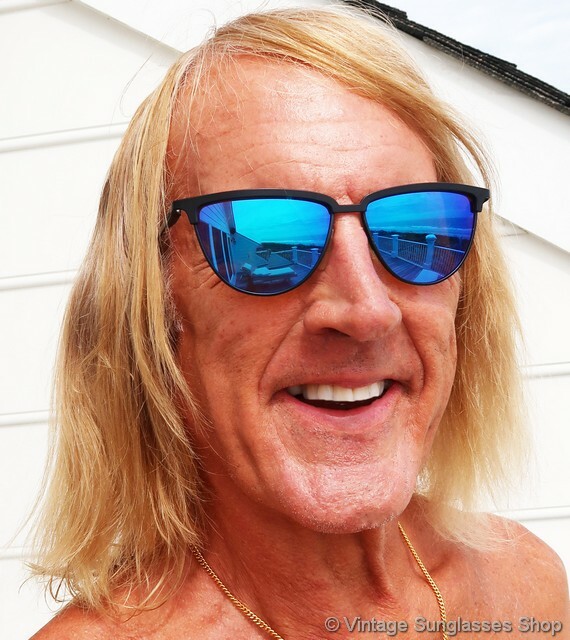 The lenses on Revo 961 sunglasses have a very unique shape, mostly flat at the top and curved downward in a symmetrical manner for a very distinctive style in vintage sunglasses. 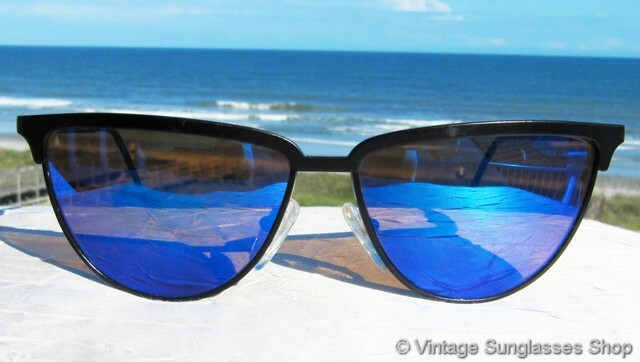 The unisex Revo 961 frame measures approximately 5.25" temple to temple, and the blue mirror mineral glass lenses measure approximately 2.125" x 1.5" at the widest points. 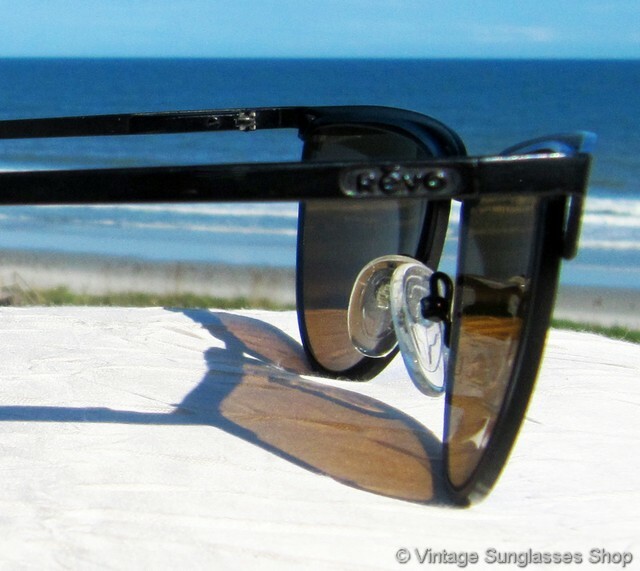 You'll find the Revo logo embossed in gold on each ear stem near the hinge points and the iinside of one ear stem is marked 961/001 Frame Italy, part of a Chicago, IL estate collection of rare vintage designer sunglasses. 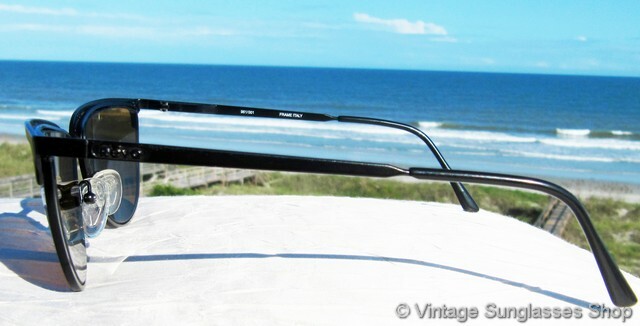 2 Step up another level beyond our already unequaled vintage condition standards with new old stock Revo 961 001 Half Moon sunglasses in mint, unworn condition. 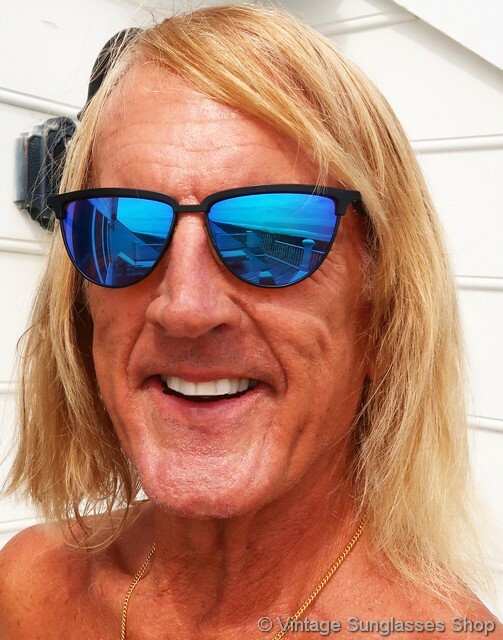 3 Need lenses? 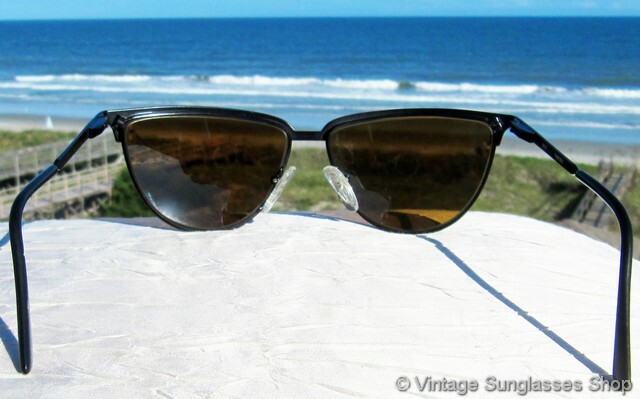 One of our best customers and a major Revo collector sent us a custom made set of high quality polycarbonate gold - green mirror polarized lenses custom cut to fit any Revo 961 frame. 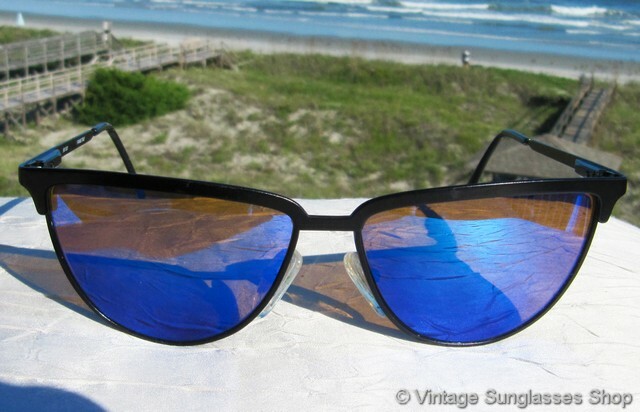 The highly reflective mirrored and polarized lenses have a predominance of gold mirror but pick up plenty of hues of green as well for an eye catching look, and they're in mint, unworn condition.